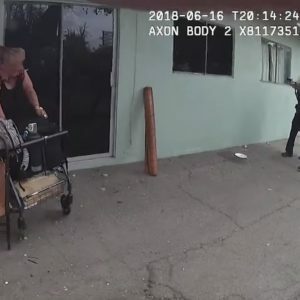 LOS ANGELES, CALIFORNIA — An innocent bystander was thrown into a dangerous confrontation between police and a knife-wielding gang member, and she was taken hostage by the hardened criminal when police closed in. 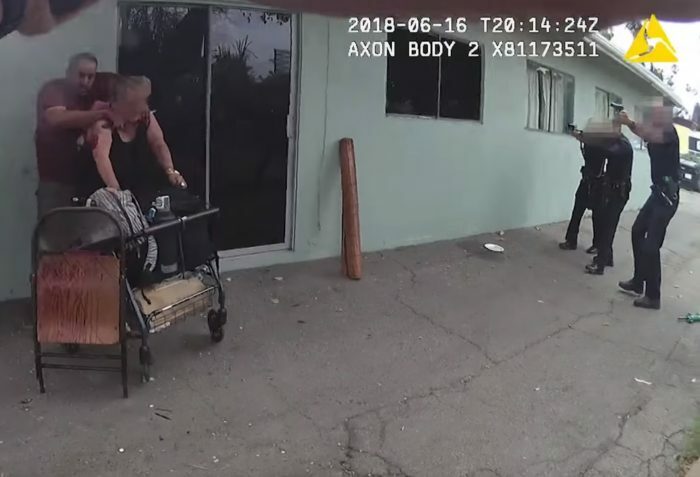 That bystander, 49-year-old Elizabeth Tollison, was standing next to a building with the help of a walker. That’s when 32-year-old Guillermo Perez made the decision to hold her hostage with a knife to her neck when police were getting too close. The video is extremely graphic and shows not only Perez, but Tollison losing her life as well. 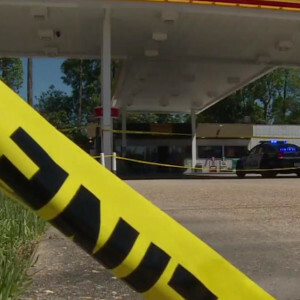 Police were forced to fire on Perez in the hopes of stopping his attack on Tollison. At first, Perez was using a folding chair as a shield from the police. They were firing bean bags via shotgun in an attempt to get things under control. Shortly after, Perez decided that he had no way out, and did what any cold-blooded thug would do; he decided to bring an innocent bystander into the chaos he caused and hold her hostage with a knife to her throat. Witnesses and police say that Perez began cutting the woman’s neck shortly after taking her hostage. 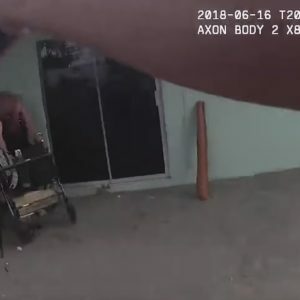 At this point, police had no choice but to use lethal force against Perez, all while trying to avoid shooting the woman that now has her life in danger at the hands of Perez. 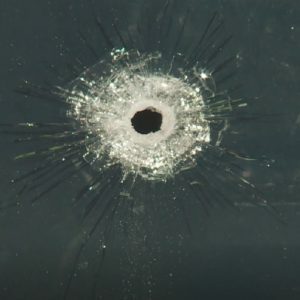 Police fired a total of 18 shots. They got their man, but unfortunately also shot and killed Tollison in the process. 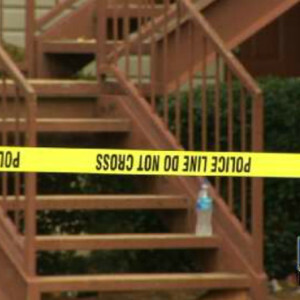 The incident is said to have started with police were called after a man had reportedly stabbed his ex-girlfriend at a church. 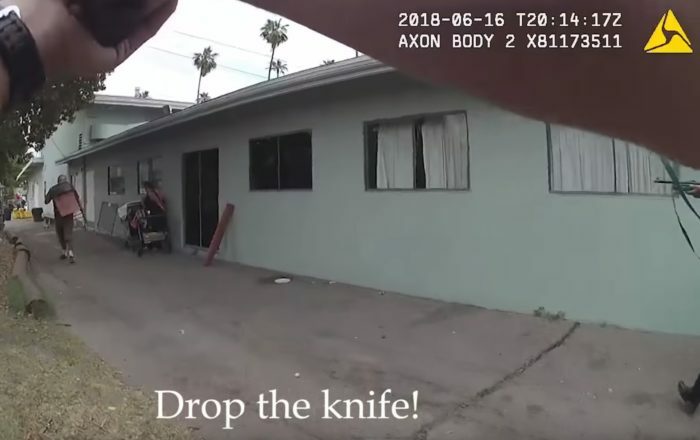 The LAPD released a lengthy video of the encounter, along with an explanation of what was happening at all times during the incident. The hostage situation begins around the 6:20 mark in the video above. This truly is a sad story which saw a series of events that quite possibly could not have been avoided. 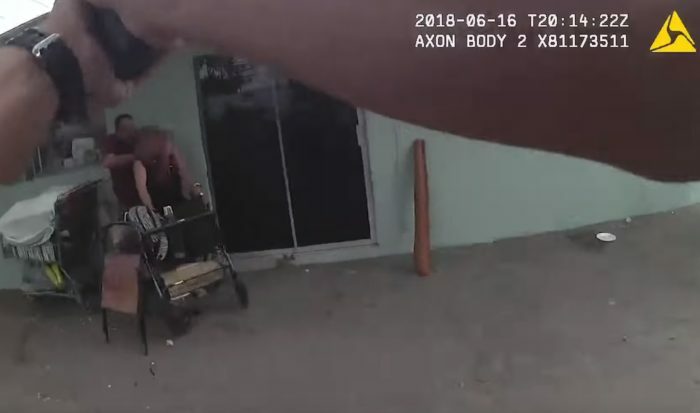 Hostage situations can be extremely difficult to handle, and firing even at that relatively short distance with a pistol is never a guarantee of hitting one’s target, especially under the stress that these officers were faced with at the time. There is no doubt in my mind that the officers needed to take lethal action and, unfortunately, an innocent life was lost as a result. No matter how proficient we are, remember that a stressful situation such as this is nothing like firing at targets at the range. A whole new element comes into play, and all these officers could do was their absolute best at the time.